Free StarDawg seeds with every purchase of a 3,5 or 10 seed packs of feminised autoflowerign cannabis seeds by Fastbuds. We are so stoked to be offering this incredible deal from one of the best seedbanks out there today. better get them quick as these free seeds will not hang around! 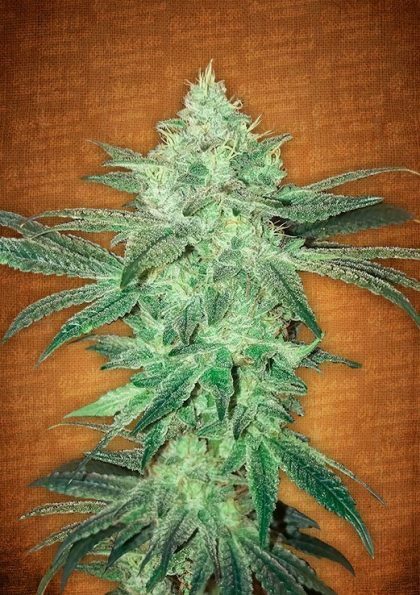 Stardawg is by far and away the best selling strain fron FastBuds seeds over the last year and is one of the top 3 best selling strains on our site altogether so this is a brilliant chance to get your hands on some top quality genetics! The Stardawg genetic receives its name for the crystallized and bright trichomes that make this variety dazzle anyone. It is a hybrid cross between Chemdawg 4 and Tres Dawg. Our Stardawg Autoflowering version is a very potent strain with a THC level of up to 22%. Consumers can be prepared for a very strong cerebral experience, accompanied by a major bodily heaviness. Its smell is spectacular and the simple fact of smelling it makes you feel happy and positive! In addition, Stardawg is ideal to help patients combat stress, fatigue and anxiety disorders. The smell of this plant is usually citrus and pine with a lemon scent. This variety is known for showing full effect in the first 5 minutes of being consumed. These effects are reflected in your whole being: mind and body. Culminating in a strong cerebral stroke, and accompanied by total relaxation throughout your body , increases creativity and produces psychedelic effects in some cases. It also helps increase hunger, and can reduce nausea . In fact, this variety has a surprising medicinal value, and can be useful in many aspects . Not only to enjoy its effects as cannabis plant, but also as medicine. You’ll need a few minutes before you can stand up after having tested , because it could be that your legs are shaking!! This variety has no great mystery when cultivating it. It is simple, but will surprise you with its high growth. As the plant grows, you will observe green buds clearly that appear to be covered with glittering crystals and orange hairs on it. We recommend you to give it enough room for its growth , because as we said, this plant can become quite high, and its branches need to be able to deploy well. For indoor grow, we recommend using pots with at least 3 gallons (10 -11 liters ) with 600-1000 watts spotlights.